I am thrilled to be sharing my very first pattern with you today – the Granger Book Bag! The bag is free for my newsletter subscribers, and it’s not too late to get your free PDF download! Sign up below and follow the instructions provided in the email. If you are already signed up, instructions should be in your inbox! I will be hosting a sewalong for the Granger Book Bag in the coming weeks starting on November 30th. The bag takes about 6 hours to sew including cutting and interfacing time, but with the sewalong I will be breaking it up in to much smaller chunks of time. I hope you will join me in making a Granger Bag for the Holidays! I have had so much fun playing with fabrics and prints making my sample Grangers. 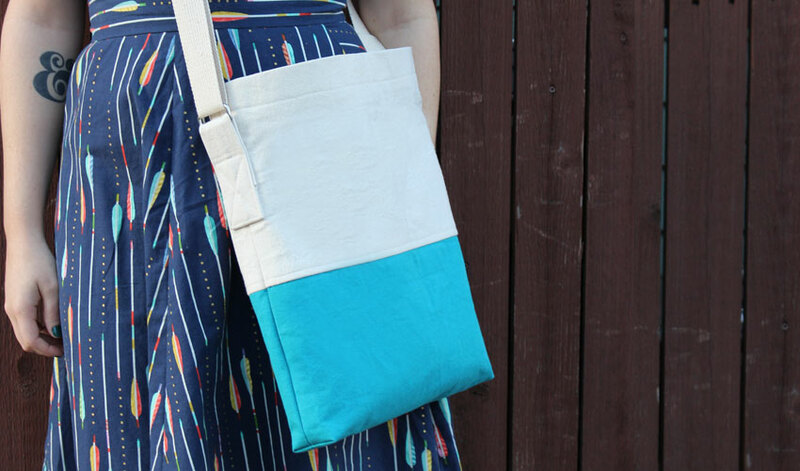 The bag is designed to be a stash buster, and a great chance to experiment with pattern mixing and color blocking. 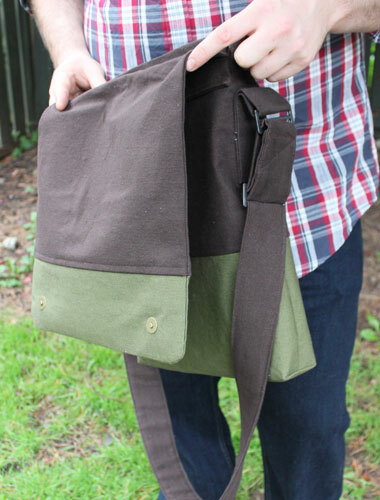 There are two views included, one of which features a messenger bag style flap. Both views have a zipper pocket and pouch pocket inside, to keep your valuables safe. The bag includes instructions for making a bag strap, but you can also easily make your strap from webbing instead. 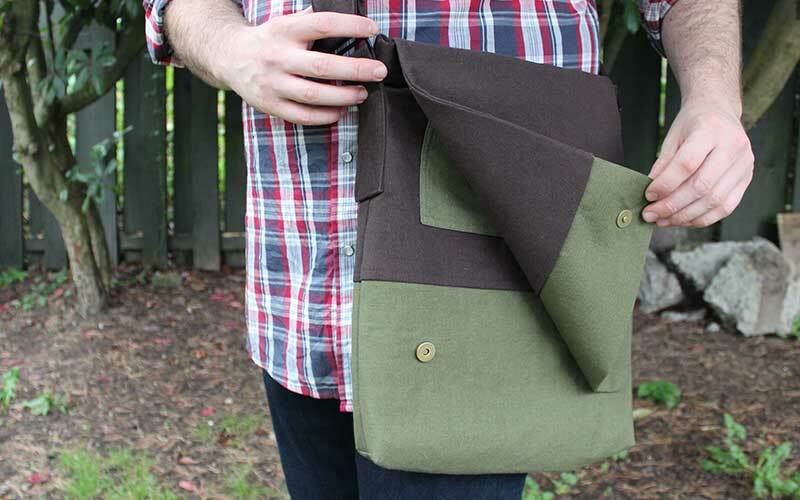 The Granger Book Bag is designed for both men and women. It’s finished dimensions are 16″ tall by 12″ wide by 2″ deep, making it a great size for books, art supplies, traveling, or anything else you can carry! I have been using mine non-stop since I sewed up the first version in September. I typically put my lunch, umbrella, sketchbooks, scarf, gloves, wallet, keys, and phone with room to spare! 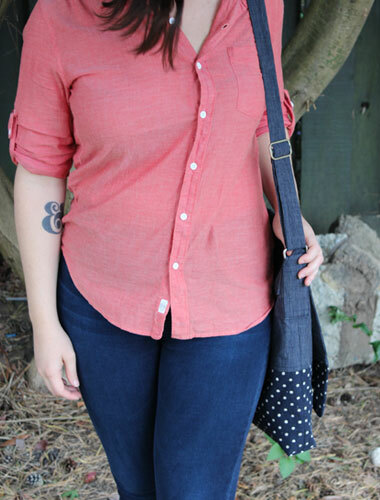 The ideal outer bag fabric is canvas or similarly weighted fabric such as denim. The lining fabric should be a quilting cotton or cotton broadcloth. Similarly weighted woven fabrics are also suitable. The interfacing weight is entirely up to you and depends on how stiff you would like your bag to be. I used Pellon 808 fusible for all of my samples, it is stiff enough that the bags can stand up on their own. Two rectangle rings that can accommodate a 1.65” (4.25cm) wide strap. One strap slider that can accommodate a 1.65” (4.25cm”) wide strap. Magnetic snaps – one for view A, two for view B.